Its PARTY-TIME eh? 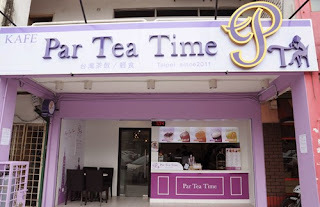 Nahhh, its actually a cafe known as Par Tea Time which located somewhere in SS15. I went there with Peh Wen and Win Aun (my course mates) yesterday to DE-STRESS since we were so stressed about our assignments and presentations. 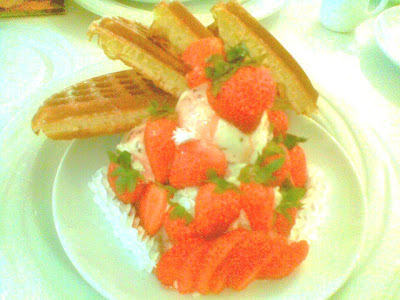 Well, we always assume that sweet stuffs will make us HYPER & HAPPY eh? Mixed fruit Waffle - RM 12.90 if i'm not mistaken. hahha good name! 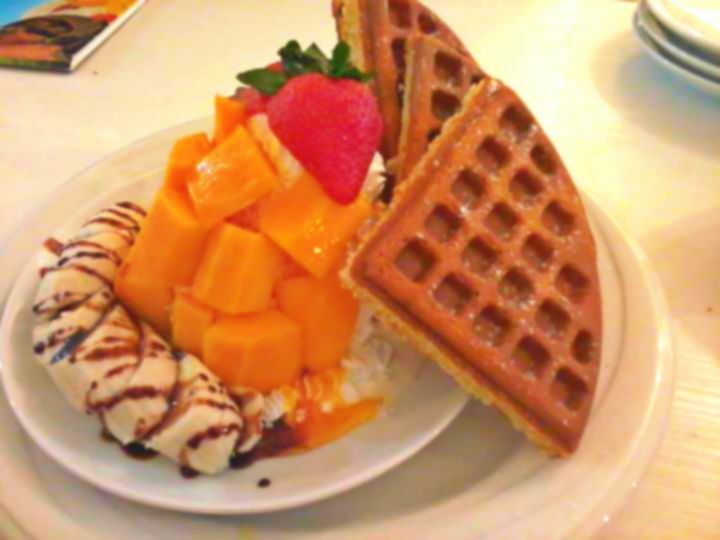 is like.. "let's go party time~~~"
Your mixed fruit waffle seems delicious! lol nice signage name lol! My first video assignment in my entire life! Things will get better right? Happy Birthday to my dear sis!